Most snakes tend to be shy, solitary creatures. Depending on species, snakes may be more active during the day or at night. Some species are ground dwellers, while others prefer to live in trees. 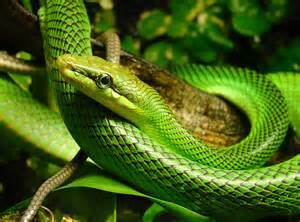 Snakes investigate their surroundings through a complex system of sensory organs. The tongue senses smell and subtle air changes. While they do not hear, snakes are sensitive to vibrations felt through their bodies. 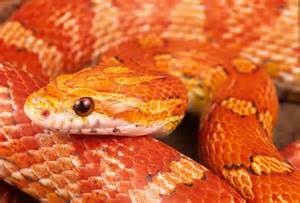 Some snakes have sensory organs that detect heat. All snakes are great escape artists. Their enclosures should have smooth walls (i.e.aquariums, 20 gallon capacity or greater) and a lid with a secure locking mechanism or clips to prevent escape. Enclosures should be as long as the snake is and half as wide as the snake is long. Whether the snake is fossoreal (spends most of its time under its bedding) or arboreal (spends most of its time in trees) dictates the enclosure height. Climbers require taller enclosures. 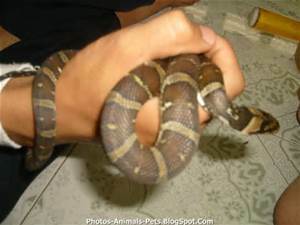 The temperature and humidity for each species varies, but most snakes should not be housed at temperatures lower than the mid-70s and not higher than about 90 degrees F with humidity levels between 50 and 70%. Heat sources can be over-the-tank heat bulbs or under-the-tank heat pads. Heat rocks are not recommended, as they may cause burns. There should be a temperature gradient in the enclosure with one end of the tank as the cool end and the other as the warm end. Thermometers should be placed at each end. Since snakes' body temperatures are determined by their environmental temperature, establishing a range in tank temperature allows the snake to effectively regulate its metabolism and digestion. An ultraviolet light (shining wavelengths in the ultraviolet B range) should be provided to help the snake make vitamin D, essential to calcium and phosphorous balance. Ideal cage bedding is newspaper or other commercially available recycled paper products or reptile carpet (like Astroturf). Bedding should be several inches thick to enable digging and should be kept clean and dry. Wood shavings, bark, chips, and soil are not recommended, as they are dusty, indigestible, and may contain parasites. 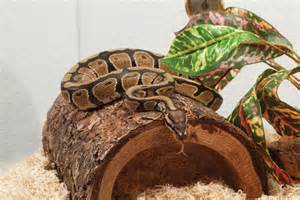 Snakes should be provided with a hide box (such as a pesticide-free log or flower pot), a shallow water pan for bathing, and smooth rocks (large enough to avoid being swallowed) for rubbing when shedding their skin. All snakes are carnivores (meat eaters). Depending on the species, their diet may include rodents, birds, amphibians, fish, invertebrates, and even other snakes. 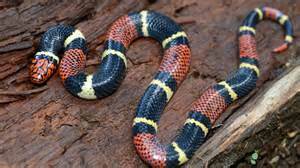 Most domestically kept snakes thrive on rodent (mice, rats) prey. Young snakes may initially only accept live food, but should be introduced to and fed only killed (at minimum, stunned) prey, as live prey may injure or kill the snake in the process of feeding. 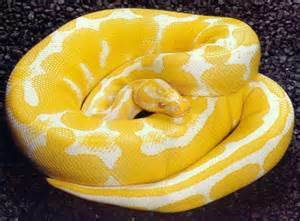 Most snakes fewer than 3 feet long should be fed only once weekly. Larger snakes may only accept food every few weeks. 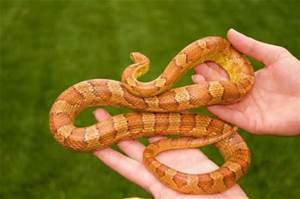 All snakes should be examined initially following purchase and then annually by a veterinarian with reptile care experience. Dietary and environmental requirements should be reviewed with your veterinarian. Snakes should receive a complete physical examination, including a thorough examination of mouth, scales, skin, heart, and lungs. 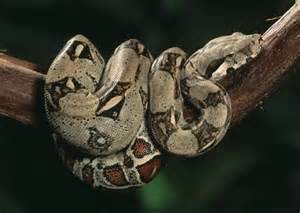 All snakes should be de-wormed, as most snakes carry gastrointestinal parasites. Proper preventive medicine can help avoid the development of disease and ensure the lifelong health of your snake. For more information About Us, our Services, our Exotic Medicine, Boarding Services, and our Reptile Medicine Services, please click on these links. Please contact us (480) 893-0533 if you have questions or concerns regarding your pet snake's health or care. Please call to set up your annual examination today!